Autumn is such a wonderful time of year. There are so many great ways to explore the changing season and this Autumn Rhythm Game explores the sounds and rhythms that it brings, from fluttering leaves to falling conkers. Every walk brings home a new autumn treasure, so go for a forage and see what you can find! The Autumn Rhythm Game can be played in a variety of different ways depending on the age and ability of the children you have in the group. First, print off the free rhythm cards. The easiest way to play the Autumn Rhythm Game is a straightforward game of pairs. Stick the printable onto card, cut along the dotted line and then you can match the corresponding rhythm to the picture. You can also turn it into a listening game by choosing different percussion instruments for each sound. 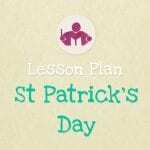 This is a great way to involve the kids too, but it also depends on the percussion instruments you have to hand. You could try something like wooden sticks for the conkers or maracas and shakers for the wind. It’s a great way to get creative! 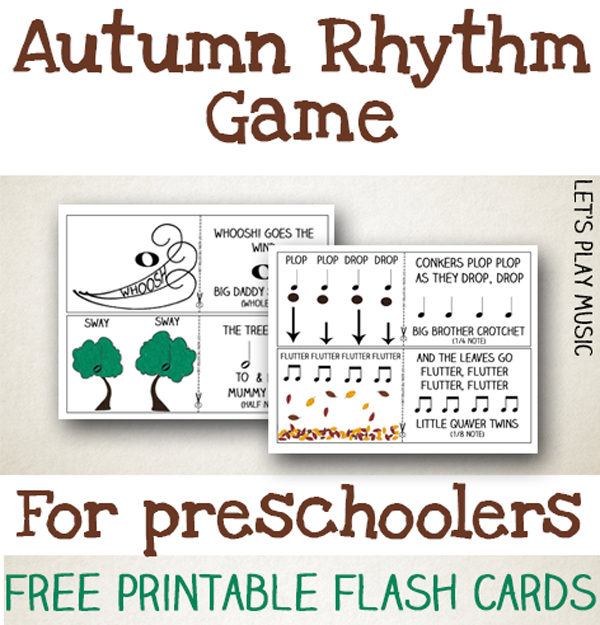 Once you have decided which instrument belongs to which rhythm card, hide the cards in a bag, the children then pick a card and try to choose the correct instrument to tap the rhythm and make the matching autumn sound. 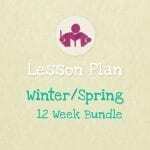 Take a look at our Autumn Lesson Plan for lots more seasonal and musical activities combined into a structured 30 min lesson, and check out our rhythm and percussion Pinterest board for more inspiration! 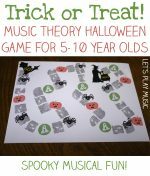 Follow Sara @ Let’s Play Music’s board Fall Into Autumn – Crafts & Activities on Pinterest.